Orbital Sciences Corporation (NYSE: ORB), one of the world's leading space technology companies, today announced that the Glory satellite has arrived at Vandenberg Air Force Base, CA to be integrated with the company's Taurus(R) XL rocket that will launch the satellite into low-Earth orbit in late February. Built by Orbital for the National Aeronautics and Space Administration (NASA), the Glory satellite is the latest in an extensive series of Earth science satellites that Orbital has designed, developed, built and tested for NASA since the early 1980's. "Over the next month, Orbital's spacecraft and launch vehicle teams will be working together to prepare the Glory satellite and Taurus XL rocket for a late February launch operation and satellite deployment," said Mr. J.R. Thompson, Orbital's Vice Chairman and Chief Operating Officer. "Following its deployment and check-out, the Glory satellite will add to the capabilities of NASA's highly-productive 'A-Train' series of Earth sensing spacecraft, which is an excellent example of how multiple distributed satellites can provide valuable scientific returns at very reasonable mission costs." Mr. Thompson added, "We look forward to contributing to NASA's success in gathering critical data on aerosols in the atmosphere and continuing to provide spacecraft, launch vehicles and mission operations for solar irradiance measurements. 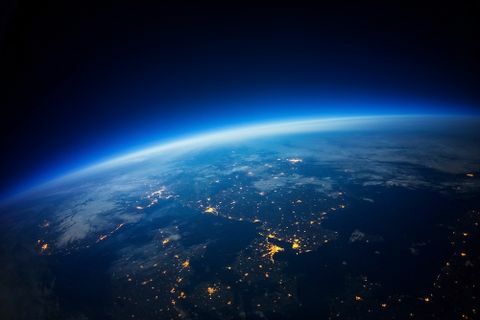 The Glory mission builds on the heritage of our ACRIMSAT and SORCE satellite programs, both of which were launched aboard Orbital rockets, and could lead to our support of the future solar monitoring mission as well." Orbital's Space Systems Group designed, built and tested the Glory satellite at its Dulles, VA satellite production facility. It is based on the company's LeoStarTM small satellite bus that has served as the baseline platform for several previous successful NASA science spacecraft programs, including recent missions such as GALEX, SORCE and AIM. The satellite weighs approximately 1,160 lbs. (525 kg.) and features deployable solar arrays, three-axis stabilization, and X-band and S-band communications capabilities. The Glory mission is being led by NASA's Goddard Space Flight Center under the direction of Project Manager Bryan Fafaul and Project Scientist Michael Mishchenko. The spacecraft carries two primary instruments, the Aerosol Polarimetry Sensor (APS), which will measure aerosols in the atmosphere, and the Total Irradiance Monitor (TIM), which will point toward the Sun and continue a 32-year data record of the Sun's brightness, or total solar irradiance. 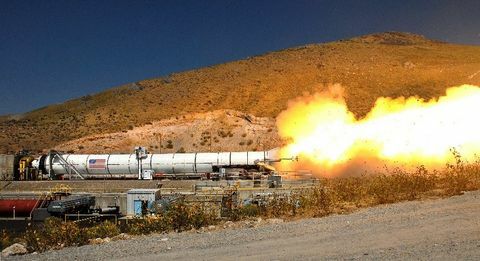 Orbital developed the ground-launched four-stage Taurus XL vehicle to provide a reliable and cost-effective means of launching satellites weighing up to approximately 3,000 pounds into low-Earth orbit. Taurus XL incorporates advanced structural and avionics technology proven on the company's Pegasus(R) rocket and other operational launch systems. It is also designed for easy transportability and austere site operations, offering customers rapid-response launches from a wide range of locations around the globe. The Glory mission will be the ninth flight of the Taurus rocket, with six of the previous eight missions having been fully successful. It also marks the Taurus XL's "return to flight" following a launch failure in 2009 during which the fairing encasing the satellite failed to properly separate from the rocket, preventing the satellite from achieving orbital velocity. Orbital has identified and corrected the root cause of the fairing separation problem and has since carried out three fully successful space launch missions using the updated fairing separation system. 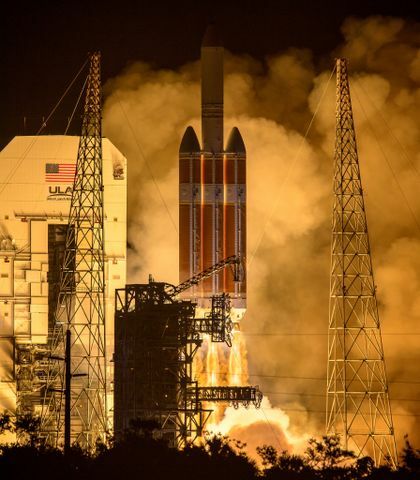 The Taurus XL launch system maintains its launch vehicle reliability certification from NASA, enabling the space agency to launch satellites of high value and importance aboard the system. It joins Orbital's Pegasus rocket, as well as the Delta II and Atlas V rockets, as the only launchers to have earned that distinction.